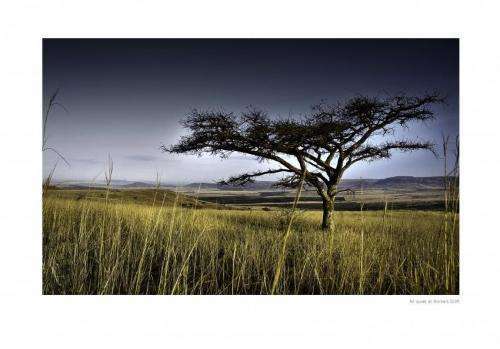 Acacia, the thorny flat-topped tree that characterises the African savannas, is an important component of ecosystem diversity. However, the researchers found that the majority of Acacia biodiversity 'hotspots' receive little protection through the protected area network, which includes national parks, nature and forest reserves. The situation, they say, may be exacerbated by climate change. The results of the study, which was led by researchers from the Environment Department's Institute for Tropical Ecosystem Dynamics (KITE) and Centre for the Integration of Research Conservation and Learning (CIRCLE), and involved the Missouri Botanical Garden (St Louis, USA) and the East African Herbarium (Nairobi, Kenya), are published in the journal Plant Ecology and Evolution. The researchers found that two thirds of Acacia diversity hotspots had less than 10 per cent coverage by protected areas. They also conclude that due to climate change, high-elevation, moisture-dependent species of Acacia may contract their ranges towards mountain peaks, where protected areas are dominated by forest reserves. These areas provide only a low level of protection compared to national parks and nature reserves. Dr Andy Marshall, from the University's Environment Department and Director of Conservation Science at Flamingo Land Theme Park and Zoo, said: "The Acacia is one of Africa's most iconic groups of trees, but our data suggest protected areas such as national parks do not really conserve them. This is most likely because most protected areas were originally established to protect big game rather than to protect biodiversity and plants." "Our data suggest that if we were to take the existing protected areas and place them completely at random across the area, we would get a better coverage of Acacia diversity than the current distribution." Principal Investigator Dr Rob Marchant, also from York's Environment Department, said: "Plants have long been over-looked in the design of protected area systems despite their role as the foundation of all terrestrial ecosystems, harnessing the Sun's energy and providing nutrients for the entire food chain. "As conservation continues to develop a 'biodiversity for livelihoods' mandate, information on plant distributions and the ways in which ecosystems will respond to future climatic and economic developments is crucial." Acacia includes a number of species that dominate extensive areas of East African woodland, wooded grassland and bushland. It occurs across a wide range of ecosystems, from arid deserts to mountain forests, and ranges from small shrubs to large trees. The researchers used distribution modelling to predict the present day distribution of Acacia in East Africa and to establish how well members of the species are conserved under the current protected network. They also used regional climate forecasts to estimate the potential impact of climate change on two Acacia species of differing ecology, with one mountain species' range shrinking away from the highest designation of protected areas. Dr Marshall said: "The question for managers is how best to deal with the potential mismatch between biodiversity and the current protected area network, both now and in the future. The strongest and most effective means of biodiversity conservation has consistently been in the establishment of protected areas. "While new conservation efforts do not necessarily have to follow the traditional format of protected areas and should involve working closely with local people, the most important factor is that they are based on solid science underpinned by excellent data." The research team are now carrying out ground surveys in remote and inhospitable locations to test the predictions of their work. The initial findings from these expeditions appear to agree with their predictions. A further publication is planned for 2013. More information: The paper, "The genus Acacia (Fabaceae) in East Africa: distribution, diversity and the protected area network", by Andrew R Marshall, Philip J Platts, Rob Marchant (Environment Department, University of York, UK); Roy E Gereau (Missouri Botanical Garden, St Louis, USA); William Kindeketa (Tanzania Commission for Science and Technology, Dar es Salaam, Tanzania) and Simon Kang'ethe (East Africa Herbarium, National Museums of Kenya, Nairobi, Kenya), was published in Plant Ecology and Evolution on 1 November 2012.